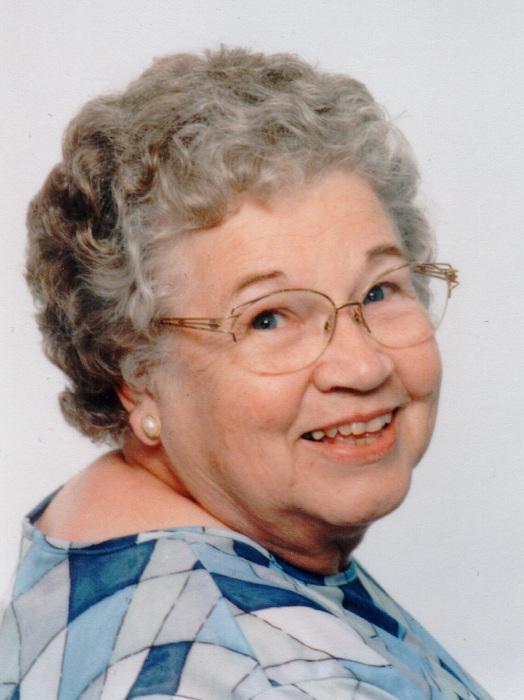 Obituary for Nantje (Burema) Bellows | Hartzler-Gutermuth-Inman Funeral Home Inc.
Nantje (Burema) Bellows, 94, formerly of Union, MI, passed away at Memorial Hospital in South Bend on Wednesday, January 30, 2019. She was born February 18, 1924 in Union, Michigan to the late Benjamin and Grace (Sanderson) Burema. Nantje married Maurice Carl Bellows on August 30, 1941 in Union, MI. He preceded her in death on May 21, 1988. She was also preceded by her sister Alice Slusher, brother Dowe Burema, and half-brother Duane Kratzer. She was a member of the First Baptist Church in Union, MI. She worked in the mobile home industry sewing draperies. She lived in Union most of her adult life until spending 4.5 years in Hubbard Hills and Home by the Dome. Nantje is survived by daughters Judy (Karl) Richter, Elkhart, Martha Perry, Elkhart, son Ronald (Julie) Bellows, Bristol, 5 Grandchildren, 13 great-grandchildren, 7 step-great-grandchildren, and 2 great-great-grandchildren. Visitation will be held Monday, February 4, 2019, from 2:00 PM to 3:00 PM at Hartzler-Gutermuth-Inman Funeral Home with Funeral Service following at 3:00 PM. Burial will be at Plum Grove Cemetery in Union, MI. Memorial donations can be made to Alzheimer’s Association, 50 E 91 St., STE 100, Indianapolis, Indiana 46509-4830. Online condolences may be sent at www.hartzlergutermuthinman.com.